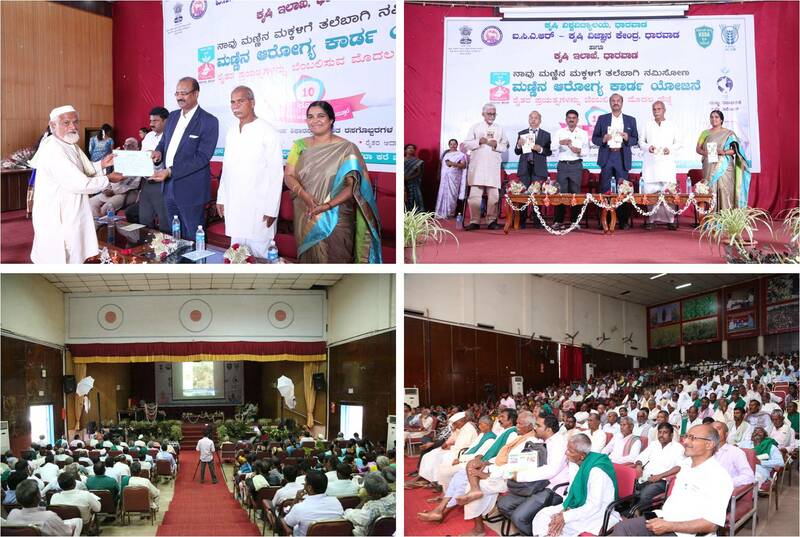 UAS, Dharwad, ICAR-KVK, Dharwad and Department of Agriculture jointly organized World Soil Health Day 2017. 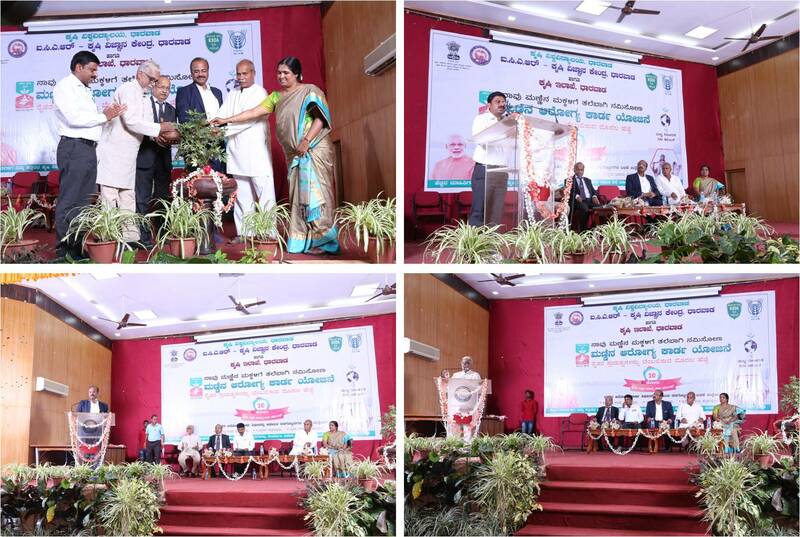 Dr. D. P. Biradar, Hon’ble Vice Chancellor, UAS, Dharwad and the president of the function inaugurated the programme. Soil Health Cards were distributed to the farmers by the chief guests. The folders on importance of soil testing and irrigation water quality in agriculture were inaugurated by the dignitaries. Dr. Prakash Bhatt, Head, People First, NGO, Dharwad delivered a lecture on soil conservation and soil fertility management. 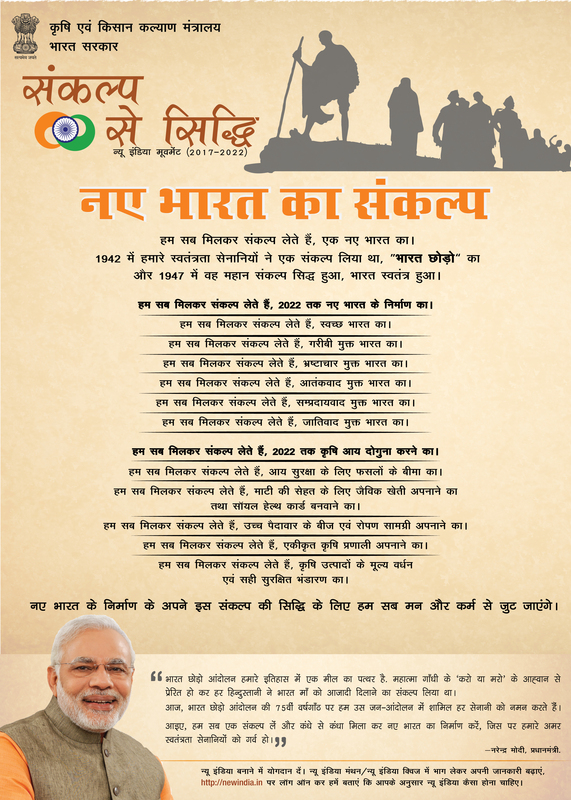 The video message of Hon’ble Prime Minister’s Mann Ki Baat programme was displayed to the farmers. Shri Basavaraj Kundagol, President, Krishika Samaja, Dr. L. Manjunath, ADE, UAS, Dharwad and Dr. Shubha S., Head, KVK, Dharwad were present on the occasion. Shri T. S. Rudreshappa, JDA, Dharwad briefed about the new schemes of Agriculture Department and proposed vote of thanks. More than 650 farmers/ farm women participated in the programme.